George Pratt, a clinical psychologist, author and licensed marriage and family therapist associated with Scripps Health, has said that a toxic or unhealthy relationship can exist among married couples, people who are dating and even those who are no longer a couple. 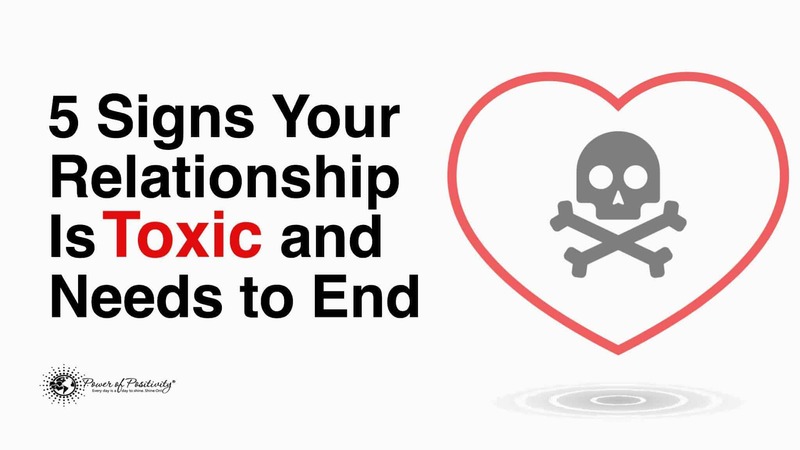 No matter what the nature of the relationship, Pratt said, they have one thing in common: “Toxic relationships can exist in any kind of relationship, and they are bad for your health.” He has stated that most people don’t even acknowledge that they are in a toxic/negative relationship that needs to end. Depression, anxiety, stress and a weakened immune system can be present in these negative experiences. 1. Conflicts and arguments are ever present. There is one person who needs to always be right. Usually this stems from narcissism and egotistical behavior. This person has little empathy and understanding for their partner. They must have the last word. Some questions to consider if you don’t know that you are in unhealthy relationship: Are you challenging one another with productive discussions? Are these one-sided arguments? Does one person in the relationship always find a way to make it the discussions about them? 2. You are being emotionally bulldozed. Sometimes we don’t notice what is happening but we know that something doesn’t feel right. Are you constantly being put down? Is your partner humiliating you in front of others? Does that other person utilize passive aggressive behavior with saying one thing and then doing another? Anger is very present in these negative conversations. Toxic relationships are abusive, verbally and at times physically. Once you submit to that type of relationship the person will find a way to degrade you to stay with them while feeding on your fears and insecurities. 3. You are co-dependent on each other. There is a difference between a loving-supportive relationship and one that is based on possessing a person. If your partner is jealous and constantly accusing you of cheating, this is a sign of destructive behavior that should not be tolerated. Love and respect are healthy. Co-dependency is not. Can you detach your dreams from that of your partner’s? Do you have your own friends? Do you spend time away from each other? Do you have your own goals? A co-dependent relationship does not allow for healthy boundaries. 4. Your faults are often magnified. If your flaws and imperfections are being expressed on a daily basis, this is a sign of a toxic relationship. It is detrimental to end it because the more time passes the easier it becomes a habit. Your self-worth and self-esteem will take giant blows. You may begin to ask yourself these questions: Do you feel mentally and physically healthy with this person? Are they bringing out the best in you? Are you enriching each other? Is your partner your cheerleader? 5. You are literally sick and tired. In a research study by Dr. Roberto De Vogli including over 10,000 participants, it showed that toxic and negative relationships have a correlation to heart disease. Your body is being affected in high stress levels that can cause the immune system to shut down. The emotional body takes a beating and starts to affect the physical body. The first place that stress affects is the heart. The second is your sleep pattern. Are you losing sleep and worrying about issues with your relationship? Is your weight fluctuating? Do you feel exhausted all the time? If you are in a toxic relationship you will feel the aches in many levels. Relationships serve as great lessons in the evolution of life. We grow from these experiences. You do not have to stay in these relationships forever. Setting boundaries and putting yourself first is important. Healthy relationships are based on mutual love, respect, encouragement and security. If this is not present, you might have to make a life-changing decision.